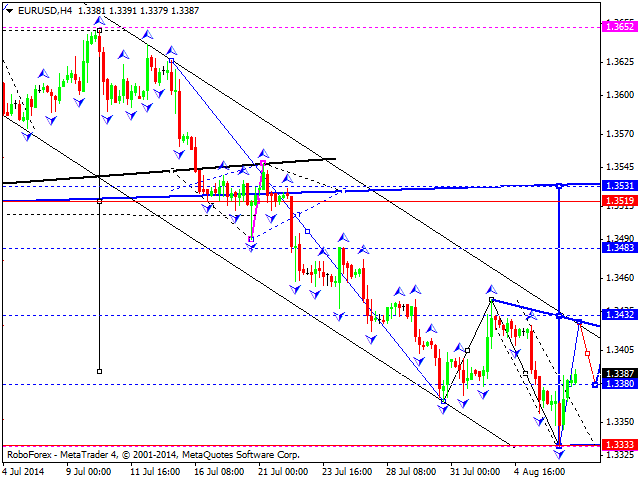 EURUSD has initiated bullish impulse, today possibly we might see correction. 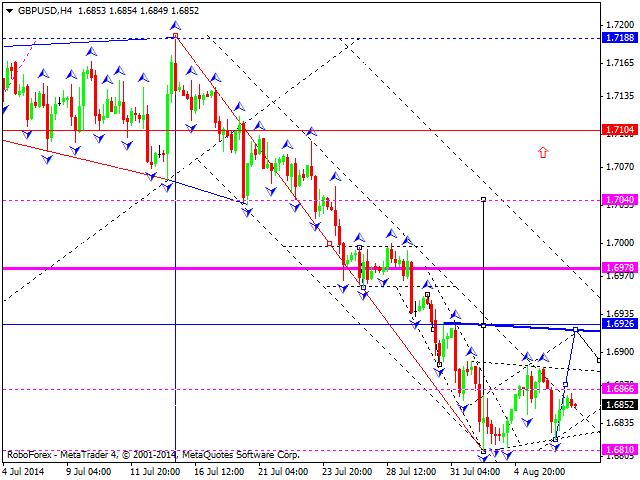 After that I will expect that high of this impulse will be violated and growth resumed with target of 1.3430. Then, again, I expect correction back to 1.3380. Thus, market would build a consolidation with further breakout to the upside. 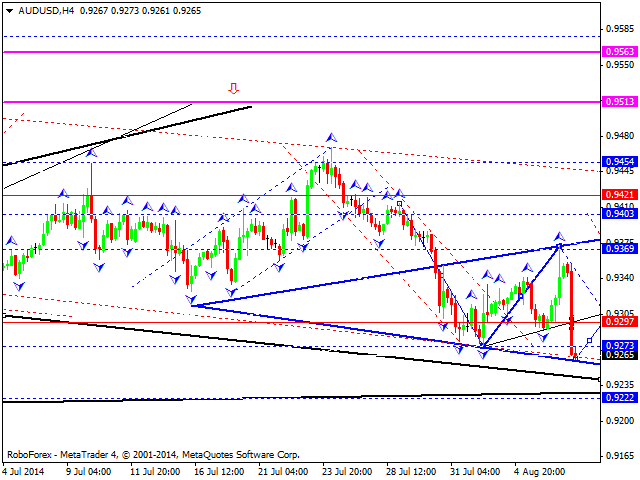 GBPUSD is continuing to move inside consolidation area. I expect that price can break out to the upside with visiting 1.6926. As an alternative, I do not exclude decline to 1.6767. After that price might go upwards. USDCHF has initiated descending impulse. 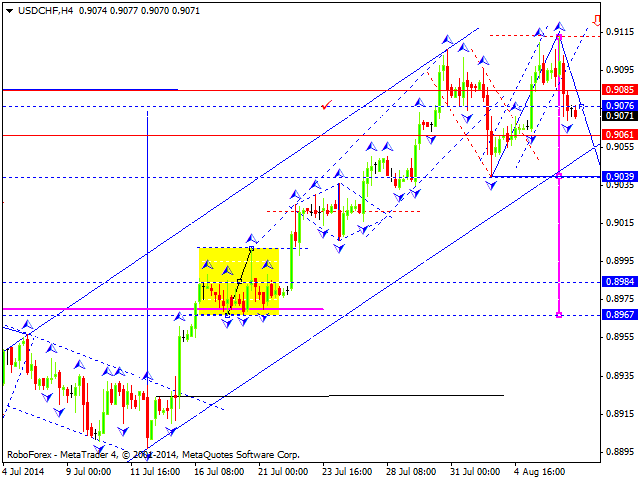 For today, I expect to see correction to that impulse, after that price can go down with visiting 0.9076. In case it happens, trend can continue to go down. 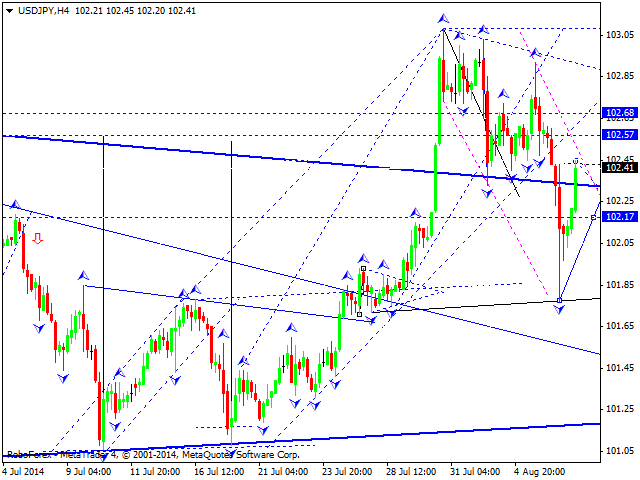 USDCHY has achieved projected target with the elongation. For today, I expect development of this correctional move to at least 102.60. After that, I will watch for descending structure and visiting 99.30 level. AUDUSD is continuing to trade within consolidation. 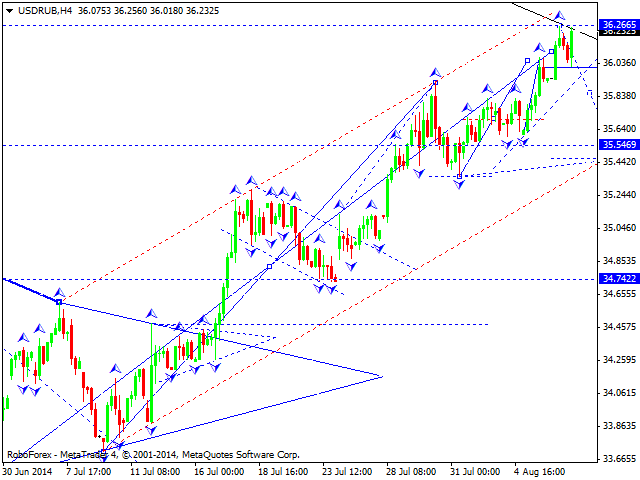 Market is trying to extend trading range to 0.9222. After that, I will watch for possible reversal and continuation of the growth with 0.9510 as target. Russian rouble continues to build consolidation at the top of the ascending wave. Basic scenario is development of descending structure and visiting 34.77. 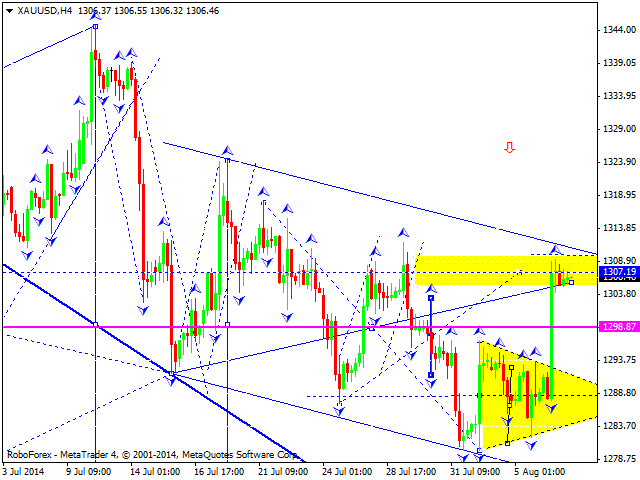 Gold moves within correctional phase. For today, I will expect possibility of visiting 1310. After that, I will watch for another decline to 1275.